Thank you for choosing to donate your time and talent to the Louisville Zoo. Your contributions as a volunteer will assist the Zoo in maintaining its status as one of the top leisure attractions for families in the region! Volunteer hours also help us demonstrate community support when we apply for grants and other funding. The Louisville Zoo plays a key role in a vibrant and growing community. It has been recognized nationally and internationally for its work in wildlife management and conservation as well as its education programs. And it is home to award-winning exhibits including the Islands, Gorilla Forest and Glacier Run. Every year hundreds of thousands of young people visit the Zoo and its “living classroom” for the ultimate learning experience. Families flock to the Zoo to enjoy the many special events throughout the year, or just to spend some quality time together amid exotic animals and beautiful botanic gardens. We are pleased to welcome you as a Zoo Volunteer. We look forward to a long and productive relationship. A relationship we are confident will bring its own special rewards for your efforts. Assemble, exhibit, manage and care for a diverse collection of animal and plant species. Instill in the public a respect for the animals and plants with whom we share the earth. Network, globally and locally, for the conservation of life on our planet. Be acknowledged as a culturally significant facility. Educate people about natural history, conservation, interrelationships among living things, the preservation of life and the impact these issues have on our planet. Further the understanding and conservation of life through scientific studies in husbandry, reproduction, behavior and other scientific disciplines. Provide a comfortable, valued recreational experience which meets the needs of our guests. Operate in a fiscally responsible manner with a balance of private and public support in an ongoing effort to be self-sustaining. The Louisville Zoological Garden acknowledges the valuable contribution it receives through the interest, time, and experience donated by Volunteers. Because Volunteers are intimately involved in our Zoo programs and activities, standards of conduct are set forth for protection of Volunteers and the institution. Volunteer service must be undertaken for the betterment of the Louisville Zoological Garden and its mission, not for personal gain other than the inherent reward and satisfaction of participating. Louisville Zoological Garden Volunteers may not receive compensation for performance of tasks as a Volunteer. Personal compensation includes gifts, fees, gratuities, or other dispensation to the Volunteer or to members of the Volunteer’s immediate family or household. Volunteers who have access to live and preserved collections, research data, staff activities, and associated privileged information must respect the confidentiality of their positions. Since 1969, the Louisville Zoo has dedicated itself to the pursuits of education, conservation, scientific study and recreation. Accredited by the American Zoo and Aquarium Association (AZA) in 1980, the “State Zoo of Kentucky.” For more information visit About The Louisville Zoo. Organization: Volunteer Services encompasses several aspects of volunteerism within the Zoo community. These can generally be categorized in the following areas. The Adult Volunteer Program is available for adults age 18 and older who are committed to giving time to the Louisville Zoo. The Zoo Teen Program is available for students ages 13 through 18 who are interested in exploring career opportunities in the zoo industry. Students must be 13 years old by the application deadline of the year in which they wish to participate. The Intern Program is available for students/graduates pursuing higher education and for high school students in a limited capacity. These require time commitments as designated by the interned areas. Sessions are available in accordance with school semesters (fall, spring, summer). The Externship Program is to provide fourth-year veterinary students an introduction to zoological medicine. The Louisville Zoological Garden supports the involvement of Volunteers in its activities. The Zoo has grown dependent on the use of dedicated Volunteers who contribute tens of thousands of hours annually to the operation of Zoo facilities and programs. The Volunteer Program enables the Zoo to enrich and extend its programs, services, conservation and research efforts. The Coordinator of Volunteers is responsible for the overall program, the success of which depends on the enthusiastic support and cooperation of Zoo Staff and Volunteers. Absences: If a Volunteer is going to be absent (illness, vacation, emergency, etc. ), they should contact both the department in which they are assigned and the Volunteer Office. It is important that absences are reported since Staff depends on Volunteers. With more hands, more work can be accomplished. Attendance: Failure to report or tardiness for a scheduled Volunteer assignment without making contact with the appropriate supervising staff member can affect the ability of the Zoo to serve the public. Volunteers should make every effort to fulfill assignment commitments. Recruitment: Interested persons can learn about the Zoo Volunteer Program from several sources including Zoo Staff members, Zoo Trunkline publication, and the Zoo’s website: www.louisvillezoo.org. Additional recruitment methods include presentations to local interest groups. However, the best recruitment method remains word of mouth from dedicated individuals like yourself. Registration: Once the prospective Volunteer contacts Volunteer Services for further information, this person is sent a Volunteer information packet that includes an application form. The cover letter in the information packet explains that the prospective Volunteer must contact Volunteer Services to set up an interview. Interview: An interview is conducted with each prospective Volunteer. This allows the Coordinator of Volunteers to learn as much as possible about the person’s interests, experiences, and motivation. General policies and legal documentation will also be explained. Specific work assignments can be made during the interview. The interview will also explain Volunteer positions, expectations, and facilities. New Volunteers receive the Volunteer Handbook during the interview. Orientation: Volunteer candidates are required to attend Orientation prior to their start date. The Orientation serves as the official welcome and acceptance into the Volunteer Program. 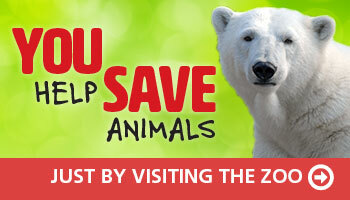 It covers Zoo policies and procedures, safety concerns, and Volunteer benefits. Specific policies and procedures of the Volunteer Program are outlined in the Volunteer Handbook. Active Status: Volunteers desiring to maintain Active Status, must do so by staying active throughout our Fiscal Year July through June. Special Events Volunteers: Volunteers who are unable meet the Active Status time requirements and wish to continue volunteering on a limited basis can become Special Events Volunteers. Leave of Absence: Those needing to take a Leave of Absence must arrange it through the Volunteer Office with a leaving and returning date. If the return date is unknown, a reevaluation date will be set. The Volunteer will be able to maintain his/her scheduled position during the Leave of Absence. If after the reevaluation the Volunteer cannot return, he/she may be moved to Inactive Status. Inactive Status: Volunteers that are unable to participate throughout our Fiscal Year will become Inactive. We understand that time, availability, interests, jobs, family concerns, etc. can influence the commitment Volunteers can make to the Zoo. Leaving the Volunteer Program: The Coordinator of Volunteer Services must be notified of a Volunteer’s intent to leave the program. The departing Volunteer is required to turn in their Photo ID Badge. Inactive Volunteers are welcome to return as their schedule allows, but must meet with the Coordinator of Volunteer Services prior to reactivation. Volunteer Management: The management of Volunteers involves scheduling and supervising. Placement and scheduling of Volunteers is overseen by the Coordinator of Volunteers. Volunteers are placed under the supervision of Zoo Area Coordinators and Staff within their assigned area. Assignment: Volunteer assignments are coordinated between the Volunteer Office and the Area Coordinators in the departments that choose to utilize Volunteers. Volunteers are appropriately placed, taking into consideration their interests and abilities in addition to the needs of the Louisville Zoo. Specialized Trainings: Docents, must complete a specialized training prior to beginning work. On the Job Trainings: All other assignments, Animal Care, Horticulture and Special Events etc., provide on the job training as necessary. Volunteer hours serve as a basis for special awards and recognition by the Louisville Zoo. In seeking grants, gifts, and appropriations, volunteer hours demonstrate that there is community support for the Zoo. Volunteer hours can be equated with dollars to match or obtain other funding. Volunteer hours provide a value standard by which we can evaluate the success of the volunteer program. When you work at the Louisville Zoo, please use the sign-in/out sheets each time you come. Volunteer hours record keeping books are located at the Receptionist Desk. If Volunteers are doing work at home or away from the Zoo, please keep track of those hours and add them to your sheets when at the Zoo or call them in to the Volunteer office and they will be added to your sheet. Animal welfare is the overall state of an animal. Protecting an animal’s welfare means providing for its physical and mental needs. Good animal welfare requires disease prevention and veterinary care, appropriate shelter, management and nutrition. Accredited zoos like the Louisville Zoo are leaders in animal welfare and take this responsibility very seriously. If you have any questions or animal welfare concerns regarding something you see at the Zoo while volunteering, please don’t hesitate to ask your assigned supervisor.